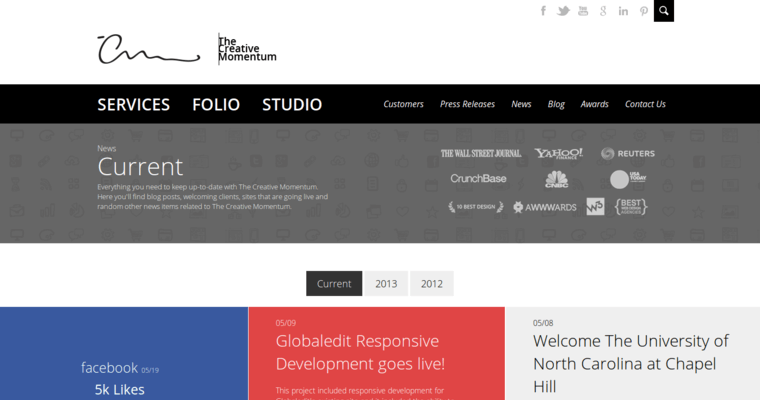 The Creative Momentum web design firm's philosophy is to design, advertise and market your company and brand using a creative approach that fuels your brand's growth. The momentum process includes five phases: meet, plan, design and develop, test and launch. The creative team personalizes every design to specifically meet client goals and expectations. This full-service design firm specializes in web design and advertising but also has a focus on user interface design and user experience design, specialties that improve website appearance and navigation and increase conversion rates, both on desktop and mobile devices. 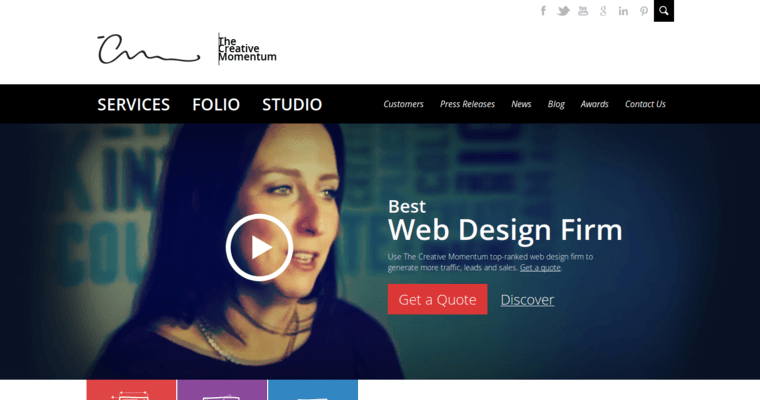 When it comes to creating and designing your site's content, The Creative Momentum has experience in all forms of media, including video and graphic design. 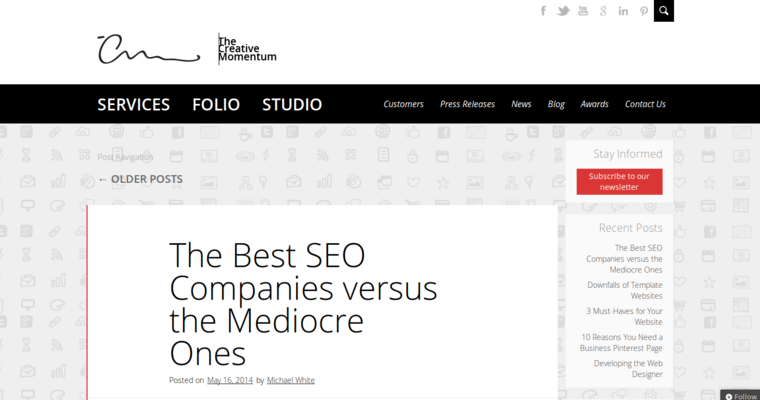 Small businesses can benefit from The Creative Momentum's personalized approach as well their offerings in business management mentoring, SEO optimization, branding identity and inbound marketing.